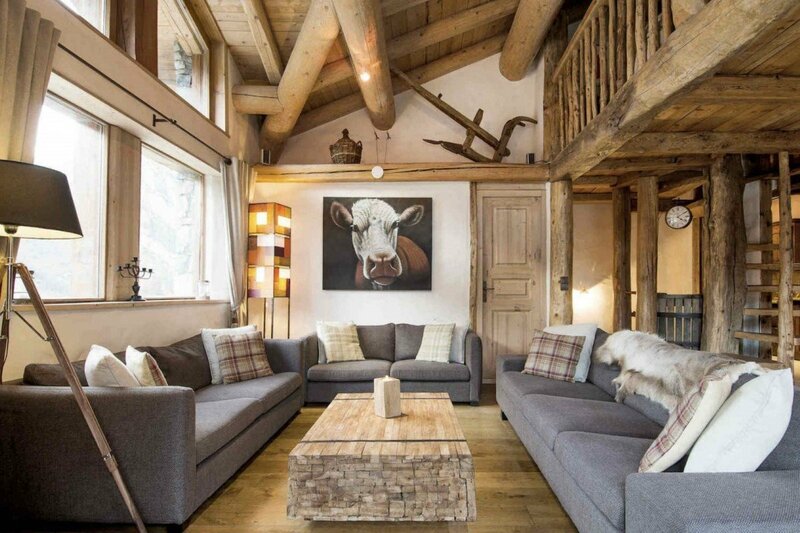 Chalet Arosa, Le Cret, Val d'Isere. 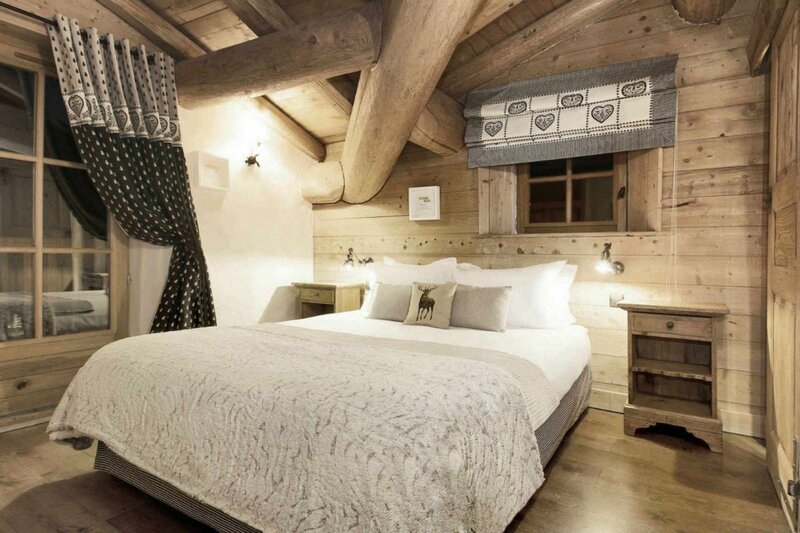 In a sunny little corner of Val d’Isere, you will find the perfection that is Chalet Arosa. Nestled inside a larch forest, this exclusive property will make you feel as if you have entered your own personal fairy tale. There are over 200 square meters of living space that has been spread over four floors. 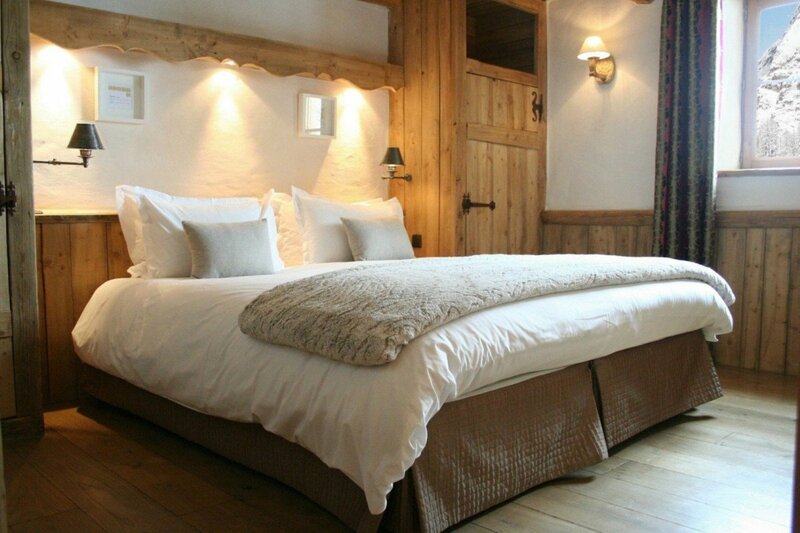 This five-bedroom retreat will sleep ten guests with ease and never feel the least bit crowded. You will love that there are so many places within this contemporary abode to find a little moment of quiet solitude, but that there are also plenty of large spaces to accommodate your entire group. The architecture harks back to the authentic feel of the village, but it is also sleek and contemporary. The traditional techniques that were used make it seem like it belongs to the natural beauty that surrounds it. You will find interesting furnishings that are both chic and comfortable. 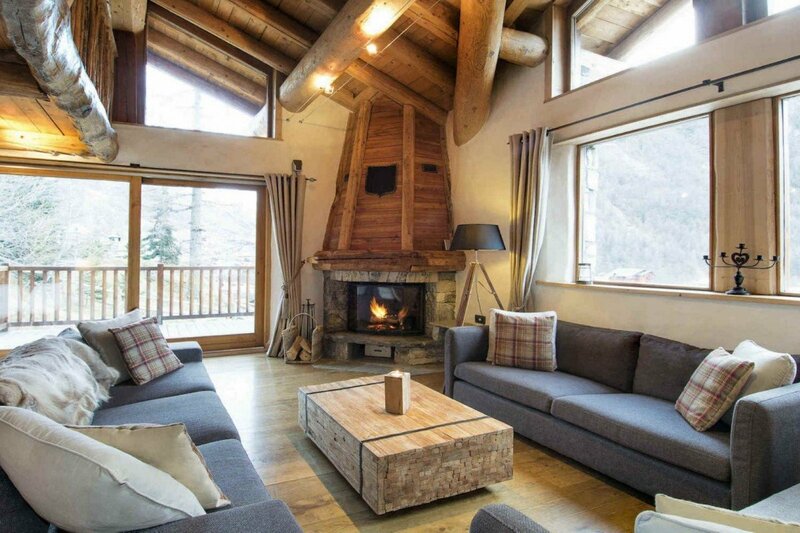 The corner fireplace will welcome you to sit back and relax while sipping a fine French wine. There are plenty of quirky touches to add a little bit of personality to the space! The large rectangular dining table will seat all members of your vacation party, making mealtimes easy and fun. 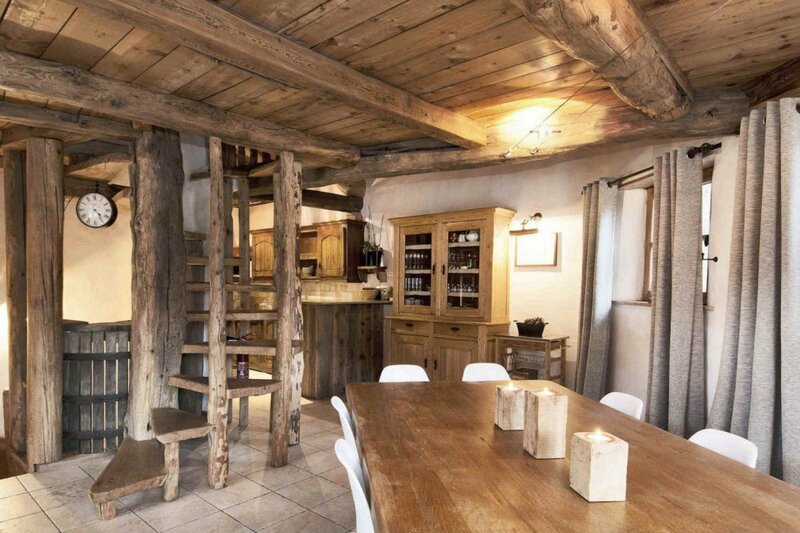 You will love sitting at the table with the rustic beams overhead feeling as if you have slipped back to a simpler time. The comforts continue from the shared spaces to the private quarters as well. The plush furnishings and luxuriant bedding keep you dreaming peacefully each night of your stay. You will find the calming neutral colors to be very soothing. 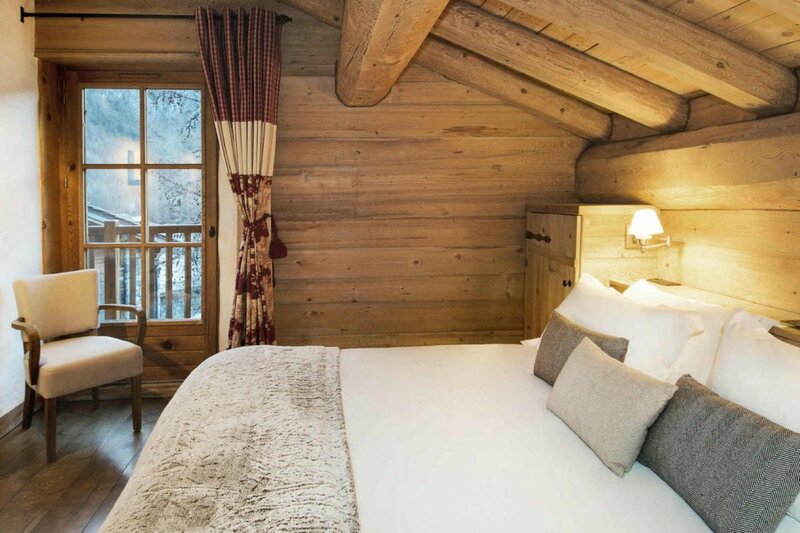 Each room affords you a special view into the winter wonderland outside. 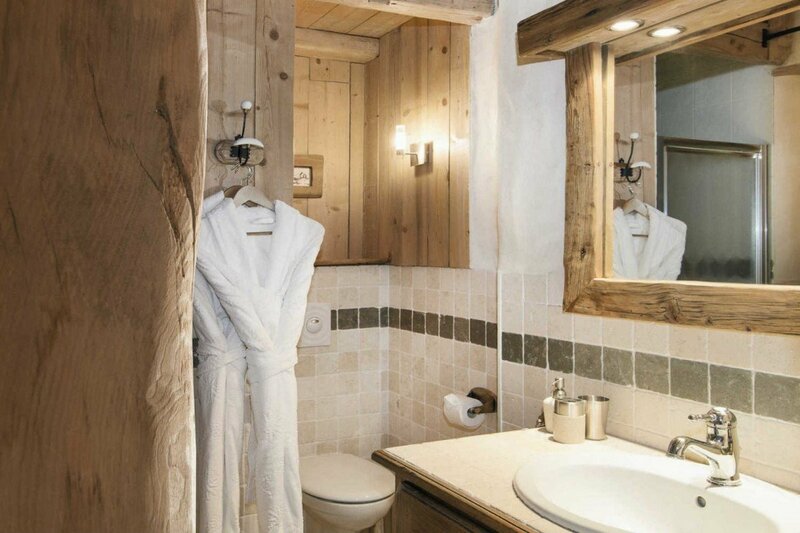 The attached ensuites will make you feel like you have entered an upscale spa. 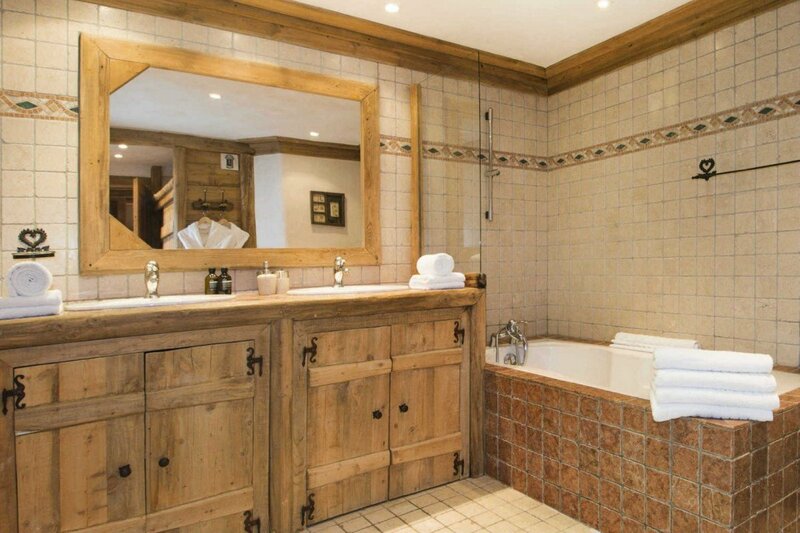 The deep soaking tubs are the perfect place to beat the chill of the snowflakes dancing in the wind. 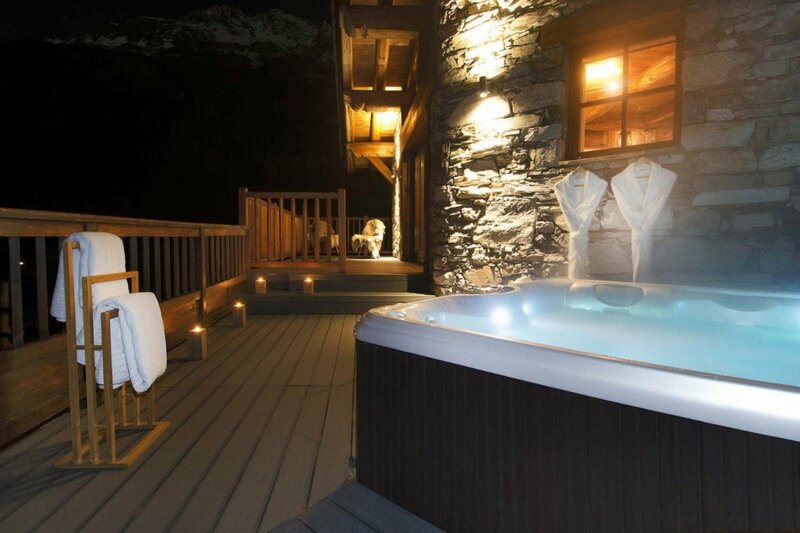 One of the most luxuriant aspects of the property is the outdoor jacuzzi on the deck. Watch the snow fall around you while you are among the warm waters. 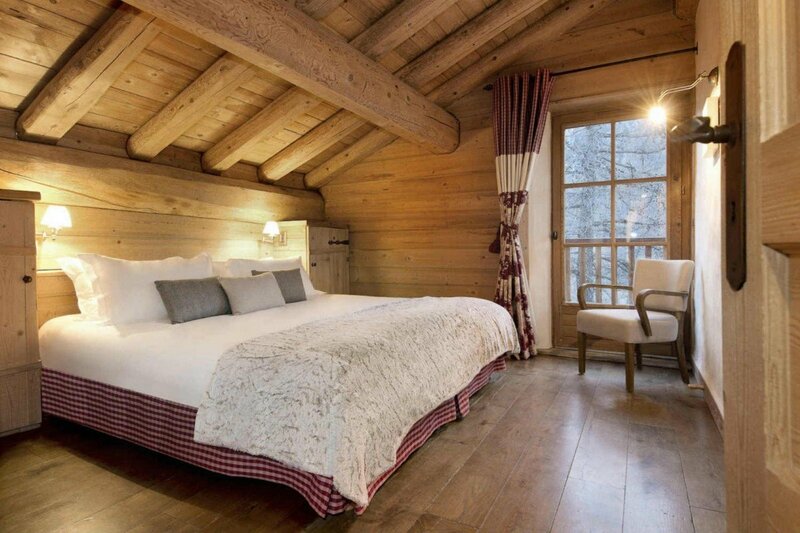 Chalet Arosa is perfection in every way!